Check your email to download your free chapter. You want to do the best for your baby. You know that nutrition during pregnancy is important and that what you eat can affect the development of your baby. You’ve read articles, listened to podcasts, and probably browsed through books that suggest which foods you should eat and which foods you should avoid during pregnancy. Most prenatal nutrition advice is outdated. Unfortunately, key nutrients for your baby’s development are found in the very foods you’re told to limit by conventional prenatal nutrition guidelines. In other words, if you follow conventional prenatal nutrition advice, you’re almost guaranteed to be eating a nutrient-deficient diet, not a nutrient-dense one. Real Food for Pregnancy takes prenatal nutrition advice out of the dark ages and gives you an easy-to-follow guide for making the best food and lifestyle choices during pregnancy. I questioned the status quo, so you don’t have to question yourself during pregnancy. Learn more about the book, Real Food for Pregnancy, here. Real Food For Pregnancy should find its way into every medical school and prenatal clinic. Lily Nichols’ first book, Real Food for Gestational Diabetes, is a staple in my teaching here at West Virginia University and has shifted how many in our department view nutrition. Her second book is encyclopedic; it’s amazingly well-referenced and more in-depth than many textbooks. If mothers embrace Lily’s advice, the next generation will hopefully suffer less obesity and diabetes. Finally, a book about nutrition in pregnancy that won’t put you to sleep, and might, in fact, make your mouth water! No sign of the ‘Pregnancy Police’ here, as Lily brings together a straight-talking combination of ‘sauce and science.’ As a midwife, this book will be on my must-read list for every pregnant person I know. Real Food for Pregnancy should be considered essential reading for any woman who is currently pregnant or planning conception in the near future. I have not found a similar text with the breadth and depth of discussion on prenatal nutrition. What sets Real Food for Pregnancy apart is how it logically explains the current scientific evidence that is disrupting modern nutrition science and pushing conventional dogma into a new direction. Lily Nichols’ meticulously cited text provides not only a quick read but also plenty of details and references for those who wish to dig further. This book may very well serve as the tipping point leading to a sea change in nutrition science and medical care. I will be recommending it to my patients within my busy high-risk obstetrics practice. 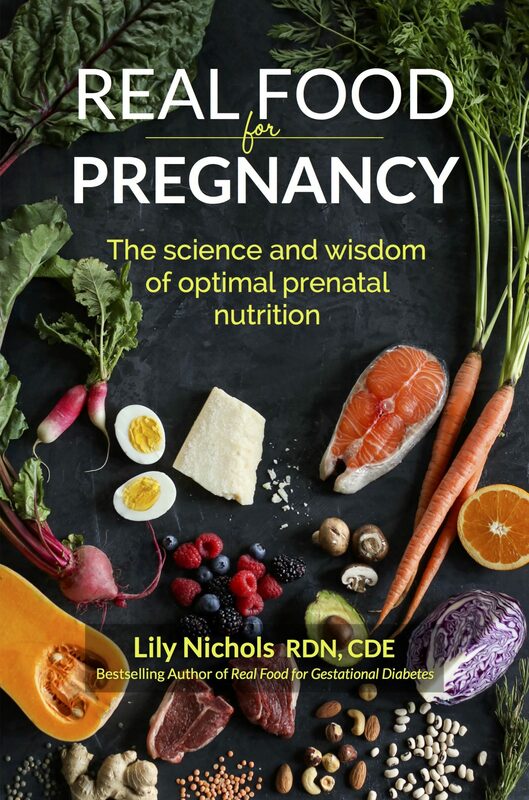 Lily Nichols has written a must-read for any woman or health professional interested in prenatal nutrition. During my first pregnancy I felt like I spent hours upon hours trying to research all of the information that is summed up beautifully in Real Food for Pregnancy.  Lily questions conventional wisdom and offers new and practical, science-based recommendations to support optimal health for both mom and baby. I hope this book will inspire change in current prenatal nutrition guidelines. No one has dissected the research on prenatal nutrition—and done so in the context of ancestral diets—to the depth that Lily Nichols has in Real Food for Pregnancy. If you want an evidence-based rebuttal to the outdated prenatal nutrition guidelines, look no further.